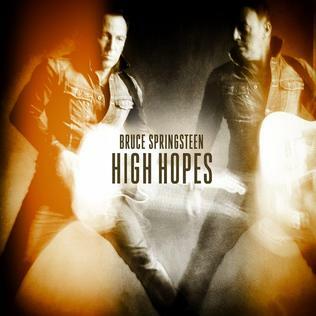 ‘High Hopes’ has an official release date of January 17 but appeared briefly for sale via Amazon.com on December 28. It quickly made its way onto file sharing sites and is being exchanged illegally via bit torrent files. Amazon has a completely secure platform so at this stage it is not known if the early release was a human error or a strategic plan. Earlier this month Beyonce surprised fans with the sudden release of her 5th studio album ‘Beyonce’ without notice. The publicity generated by the unexpected release sent the album to the top of the US chart in its first week. The Springsteen release may or may not be a cleverly disguised promotional stunt as well. ‘High Hopes’ is Springsteen’s 18th album. The album was announced in November. It features various songs recorded over the past 10 years and includes appearances by former members Danny Federici, who passed away in 2008 and Clarence Clemons, who died in 2011. The track ‘Just Like Fire Would’ is a cover of The Saints 1986 hit single in Australia. Bruce Springsteen performed the song at his Brisbane concert this year and recorded it days later at 301 Studios in Sydney.